Porto Cervo, 5 March. 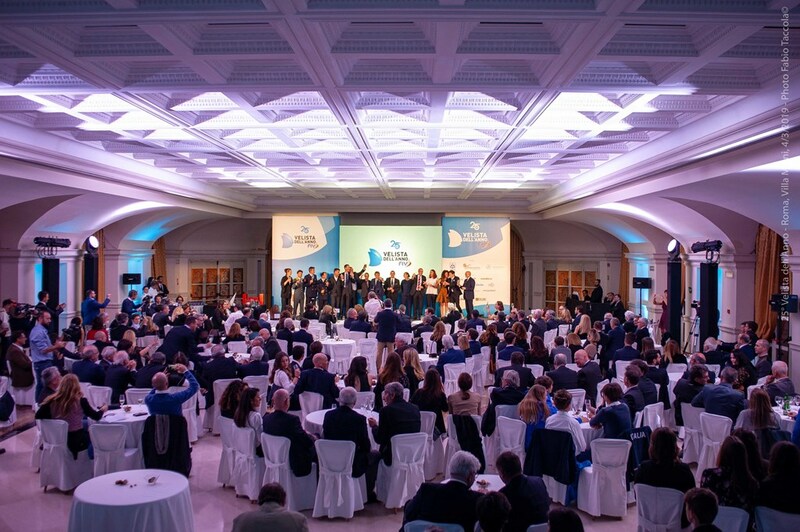 My Song, the 130’ maxi yacht owned by YCCS member Pier Luigi Loro Piana yesterday won the award for best boat at the 25th edition of the Italian Sailing Federation’s (FIV) Sailor of the Year awards. The prize for Boat of the Year - Ucina Confindustria Nautica Trophy was awarded to the Baltic 130 My Song by Marina Stella, director general of UCINA Confindustria Nautica, and consigned to Giorgio Benussi, general manager of the team. YCCS congratulates owner and club member Pier Luigi Loro Piana on this award.